Paris is very cold in January and it would be unheard of to venture to the open-air top floor of a department store for tapas and a cocktail. BUT, Paris’s innovative department store, Galeries Lafayette has come up with a unique idea by plopping a few heated see-through geodesic domes over the rooftop bar. The concept, brilliant, the view, magnifique. They call it a “cocooning vibe where serenity and tranquility reign supreme”. Who wouldn’t want that? Continuous service from 11.00 am to 8.00 pm. When they will be removed to make way for spring, I’m not sure. After you’ve seen the sites and are ready for some serious shopping, head for Galeries Lafayette for a total experience. Not only are all the top designers represented but added value includes jeweled architecture, gourmet food and one of the best rooftop views in Paris. 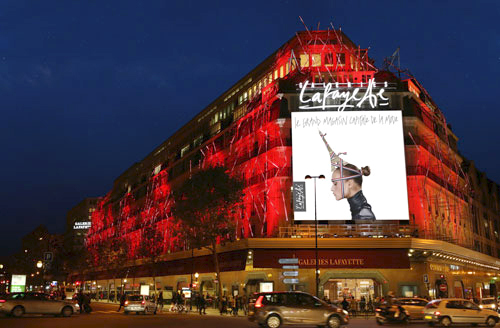 The flagship Galeries Lafayette store was unveiled in all its glory at its inauguration in October 1912. Théophile Bader dreamed of creating a “luxury bazaar” where the sheer abundance and luxury of the merchandise on offer would wow the crowds. Golden light, filtered through the domed roof, would flood the grand hall and set the products aglow. The gamble paid off. Ferdinand Chanut called upon great artists from the École de Nancy to decorate this magnificent building in the style of Paris Art Nouveau. The banister of the magnificent staircase, inspired by the Paris Opera House, was designed by Louis Majorelle, who is also credited with the ironwork featured on the balconies. 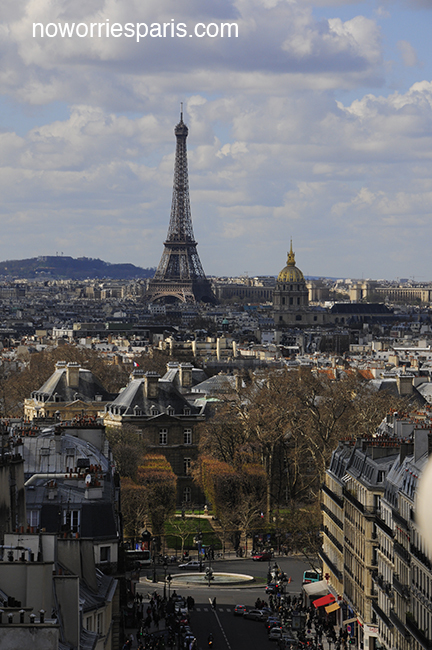 The dome, rising to a height of 43 metres, soon became the iconic symbol of Galeries Lafayette. Master glass-maker Jacques Gruber was responsible for designing the Neo-byzantine style stained glass windows. The sales floor had suddenly doubled in size, but the innovations didn’t stop there. A tea room, reading room and smoking room were then added to complement the 96 existing departments. As more department stores began to appear, shopping was becoming a leisure activity. 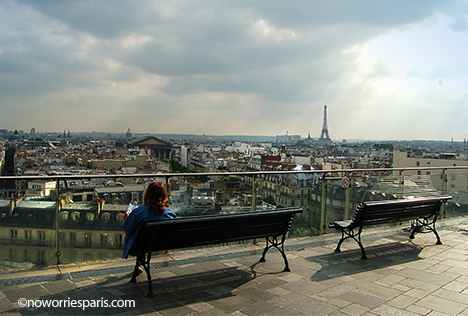 At the very top of the building, the rooftop terrace offered a panoramic view of Paris. The store began organising special events much to the delight of an entertainment-hungry clientèle, including the now famous rooftop landing by Jules Védrines in 1919. The aviator was fined for flying too low over Paris, but gained lifelong notoriety as the first ever rebel in aviation history. The window displays have always been instrumental in setting the scene in the sales departments, with aspirational designs to tempt customers into the store. A vocation which has stood the test of time. 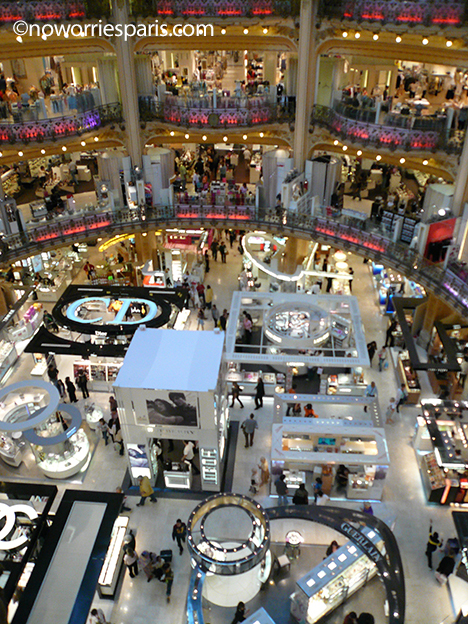 The Haussmann department store is the second top tourist attraction, after the Eiffel Tower. In the early sixties, young designers began launching their ready-to-wear lines, sitting between haute couture and traditional tailoring. Each season Galeries Lafayette would showcase these new talents by providing them with small boutiques or concessions in the store. 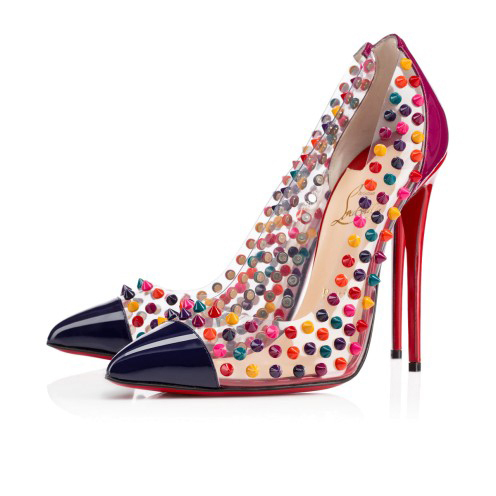 The first designer to hit the big-time was Laura, in 1962, which later went on to become Sonia Rykiel. 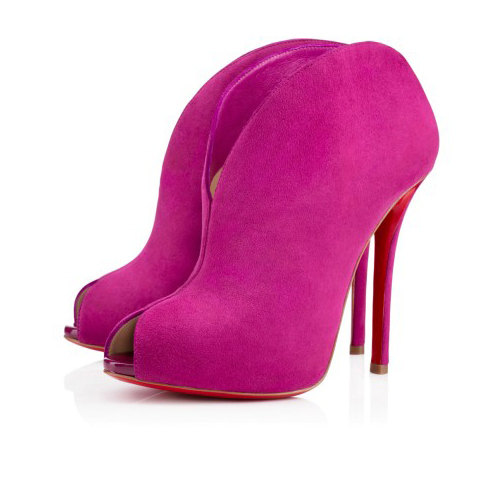 Then it was the turn of Daniel Hechter, Pierre Cardin, Cacharel, Yves Saint-Laurent and Dorothée Bis. Discover over a century of history with their guided tours. These 45-minute tours are free of charge and arranged upon request, for parties of 10 to 20 people. 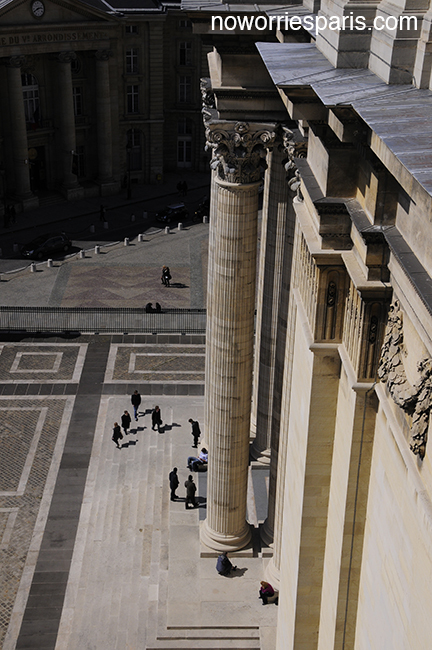 To make a reservation contact them at: patrimoine@galerieslafayette.com and leave your name, surname, contact details and the number of people interested in attending a tour. 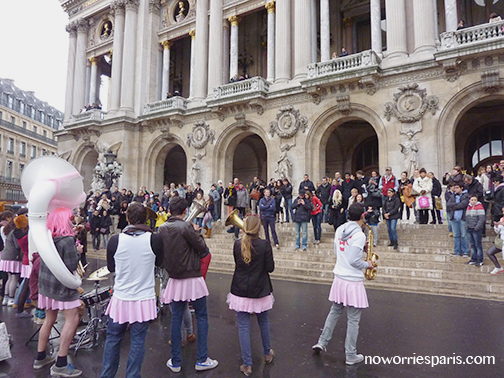 Who wouldn’t stop for the ragtag student band in pink tutus. The drizzle doesn’t stop them, the crowd is mesmerized, all smiles. Be sure to lend your support with a few euros. When you’ve had your fill keep on truckin’ – Galeries Lafayette and Au Printemps department stores are just minutes away. Good place to duck in from the inclement November weather. 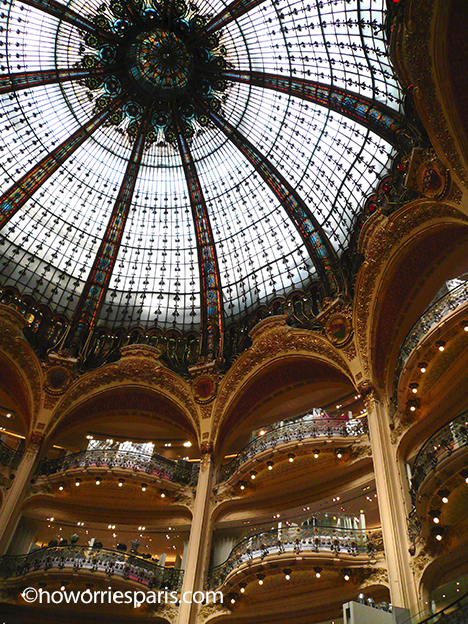 The granddame of department stores, Galeries Lafayette opened in 1898. Its acres of floor space catered to the new bourgeois. 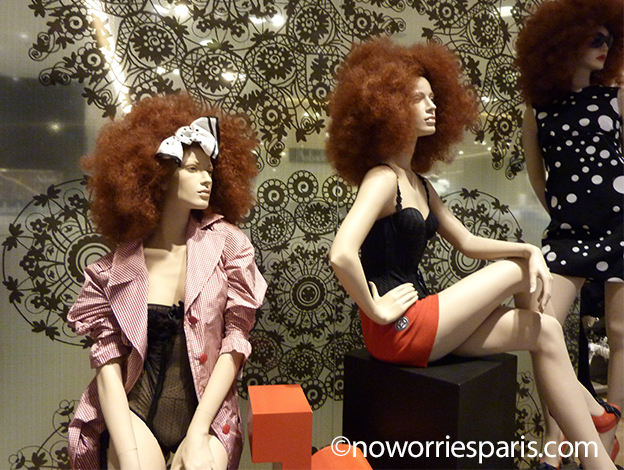 The store is in two huge buildings, separated by Rue Mogador, which abuts Boulevard Haussmann. Enter the right-side building and go to the third floor to see the store’s centerpiece. A grandiose Belle Époque dome, 100 feet in diameter, is ringed by balustrades on several floors that reveal views of lavish shopping at its best. Then head to the rooftop (via an elevator to the sixth floor and an escalator near the restaurant) for one of the city’s great freebie views. Detour: After leaving Galeries Lafayette, go a block farther down Boulevard Haussmann to see this store’s older rival Au Printemps, founded in 1865. 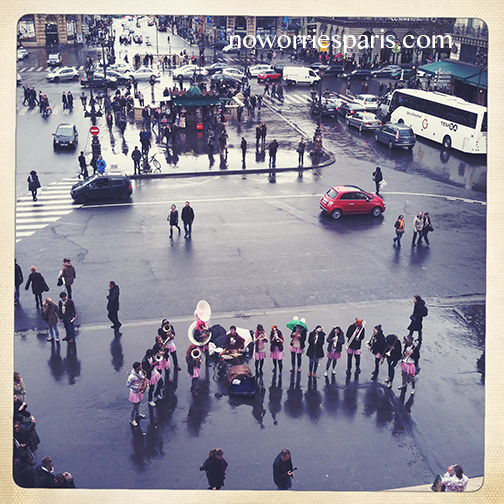 Printemps is not as splashy for tourists, but Parisians form opinions over which is best, sort of like Coke and Pepsi. 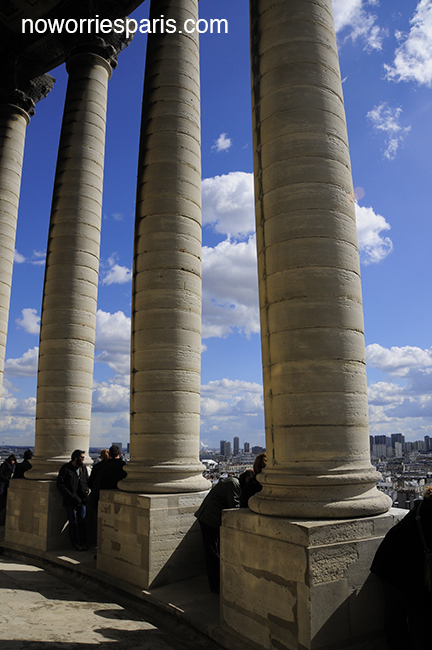 Everyone knows about the view from the Tour Eiffel, Arc de Triomphe, Galeries Lafayette roof, Tour Montparnasse, Notre Dame, Sacre Coeur, but not many tourists realize one of the best, especially on a clear day, is from the top tier of the Pantheon. Tours leave from the ground floor at appointed hours from April to October. Small admission charge. 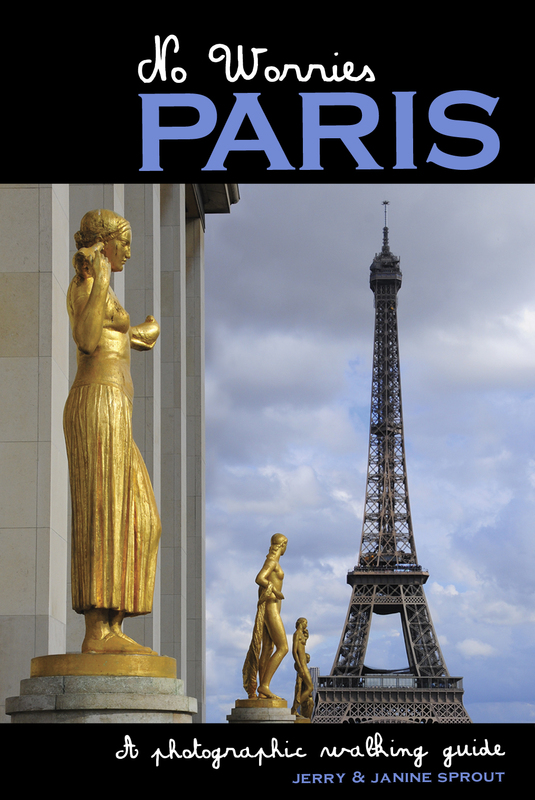 For details, see page 42 of your No Worries Paris guidebook.